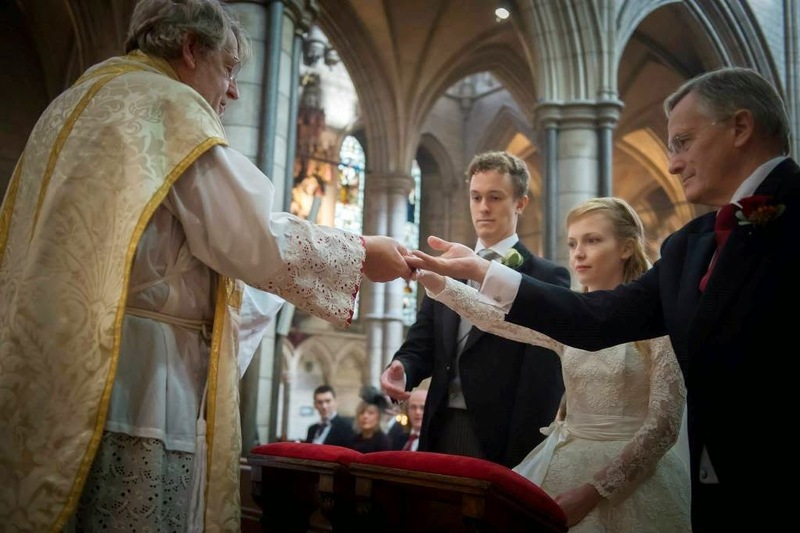 By now, most of our readers have probably already seen or read about the article on the website of The Guardian, in which the actor Bill Murray commented on the post-Conciliar liturgical changes. If you go around the area of St Peter’s Basilica, you will see souvenir shops overflowing with postcards of John XXIII, John Paul I and John Paul II. But you will not find one, not a single one, of Paul VI… This is surprising, when you consider that (he) guided the Church for fifteen years, from 1963 to 1978, perhaps the most critical in its recent history. The plea that the laity as a body do not want liturgical change, whether in rite or in language, is, I submit, quite beside the point. … (it is) not a question of what people want; it is a question of what is good for them. Michael Davies quotes this in his book “Liturgical Time Bombs in Vatican II”, and rightly observes that it reflects the same mentality as that of the Soviet Communist Party. Just as the Party “ ‘interpreted the will of the people,’ so the ‘experts’ interpret the wishes of the laity,” and were willing to inflict any amount of suffering on them to make them accept what they, the experts, had determined was for the people’s good. And so I find myself reminded of two stories from those troubled days. No intelligent person would seriously defend the claim that all Catholic liturgical practice before 1962 was always and everywhere ideal. In the 1950s, my father’s parish had ten or more Masses every Sunday between the upper church and the crypt; the only one with music was the last one in the upper church, which he described as “the one nobody went to.” To me, this is simply unimaginable, (perhaps the choir just wasn’t very good), but the preference for low Mass and the dislike of high Mass was undeniably real in many quarters. But far too many of those who (rightly, in my judgment) saw this as a problem, chose to remedy it, not with patience and charity, not by educating the faithful to a greater love of and appreciation for sacred music. They chose rather to force upon them “what was good for them”: bad but easily singable music, and a vernacular version of the Mass as ugly as it was inept. For those who wish to remedy these failures, and give back to Mr Murray, and countless others like him, something of what they loved and lost, it is hard not to sympathize with Dom Gregory, and just impose necessary reforms immediately. In many cases, this can be done and should be done. Most parishes could probably ban some of the more truly awful hymns, for example, without anyone noticing or caring. Likewise, it is hard to imagine that when the long-overdue ban on the use of the NAB finally comes, we will see resistance and protest comparable to that seen among some Protestants over the use of any Bible other than the King James. On the other hand, as the great Martin Mosebach recently wrote, we have to a very large degree “lost our liturgical innocence” in the Latin Church. We can no longer simply accept the liturgy as a thing that is what it is, as Mr Murray and my parents did when they were children; we are constrained by our circumstances to treat the liturgy as a thing which we collectively make, more than a thing that makes us. And this means that every Catholic has opinions about liturgy, of a sort which it would have never occurred to ordinary people like my parents to have before the reform. I have known priests who would, of their own initiative, correct some of the more grotesque errors of the old English translation of the Mass, before they were officially corrected; conversely, I have met laypeople who passionately defend some of those same errors afterwards. Every effort to drive out bad liturgical practice with good will probably encounter some resistance; if it is to be a truly Christian reform, resistance must be overcome with patience and charity, but also with fortitude and courage. 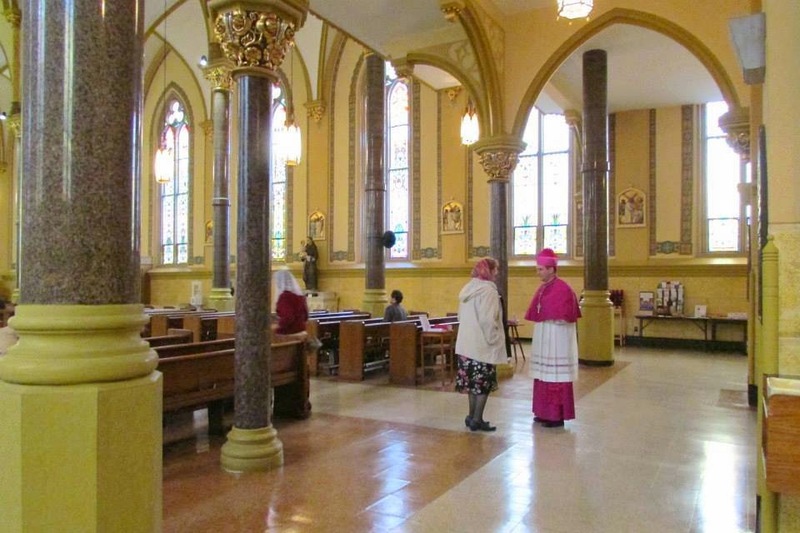 Bishop James Conley of Lincoln, Nebraska, has recently given the Church an excellent example of this, by having Masses in his cathedral celebrated ad orientem on the Sundays of Advent, and the midnight Mass of Christmas. Other churches in the diocese may do the same, but are not ordered to. 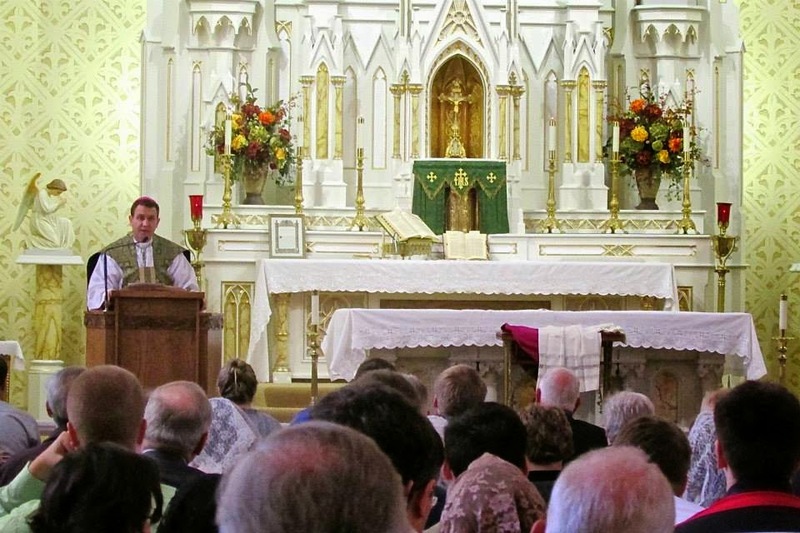 God willing, examples like this and proper catechesis will steer us to the day where no Catholic ever thinks that the priest is “turning his back on the people.” And God willing, by following such a model, the liturgy can be reformed without reproducing the tragic experience of the 1960s. 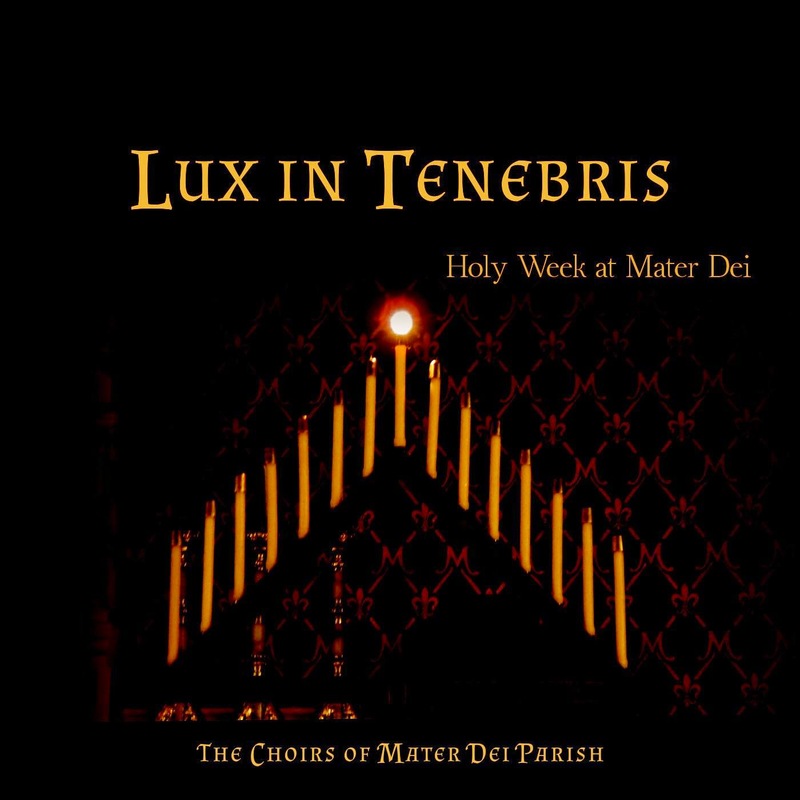 A New CD of Sacred Music - "Lux in Tenebris: Holy Week at Mater Dei"
The choirs of Mater Dei Catholic Church in Irving Texas, have recorded and released their first album of sacred music: “Lux in Tenebris: Holy Week at Mater Dei”, a collection of Renaissance polyphony and Gregorian chants sung at the parish during Holy Week. The choir is hoping that this will be the first of many more such recordings; the profits will go to support the music program, and also help contribute to the beginning of a capital campaign to build a larger church. The success of this first CD will be crucial to the success of future efforts. The music director, Kimberly Walters, informs us that the choirs are comprised solely of volunteers, and amateur singers, and have seen significant growth in the last few years. You can find the physical CD for sale, and listen to samples, at http://www.cdbaby.com/cd/luxintenebrisholyweekatm; digital download is also available on all major digital music stores: Amazon, Google Play, iTunes, Spotify, etc. One of the recording sessions. From the Extraordinary Form community in Singapore: His Grace the Most Rev. William Goh, Archbishop of Singapore, will do us the great honour of being present at Mass on the Feast of the Immaculate Conception, celebrated as a Solemn Mass in the Presence of a Greater Prelate. 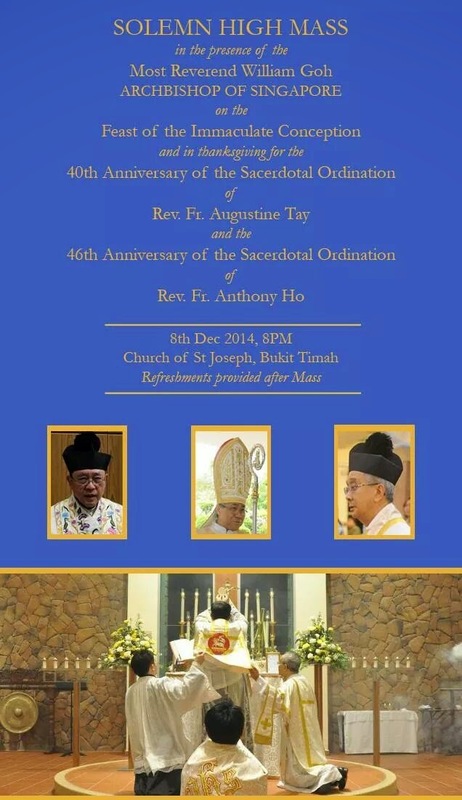 Fr Augustine Tay will offer the Mass in thanksgiving for his 40 years of priesthood; Fr Anthony Ho will be assisting as Deacon of the Mass and that day will also celebrate his 46 years of priesthood. The celebration will also be in thanksgiving to Our Lord and most blessed Mother for these two great pastors who have been so selfless in their dedication and service to the Extraordinary Form Community in Singapore. Indeed this will be the first Mass of this kind and scale in Singapore in at least 40 years. This will be the second time our Archbishop will be attending Mass with the EF Community, the first being last year where he attended in Choro. 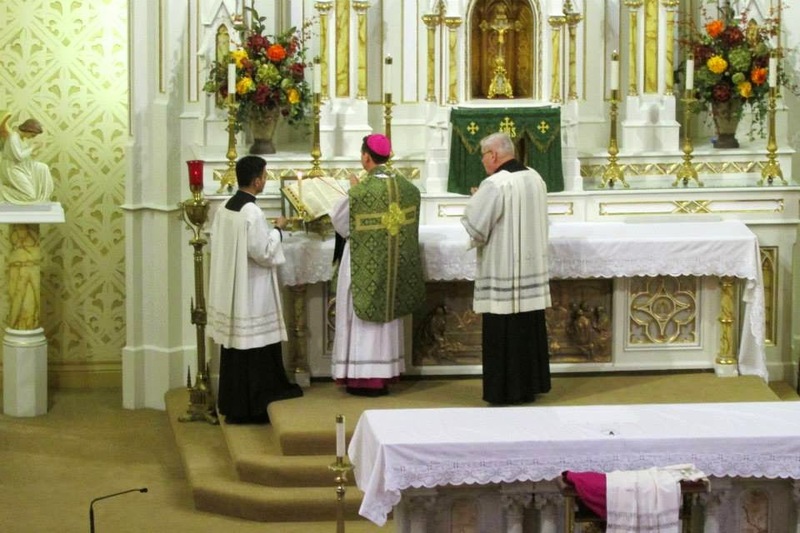 The pontifical low Mass is an interesting ceremony in the Roman Rite. 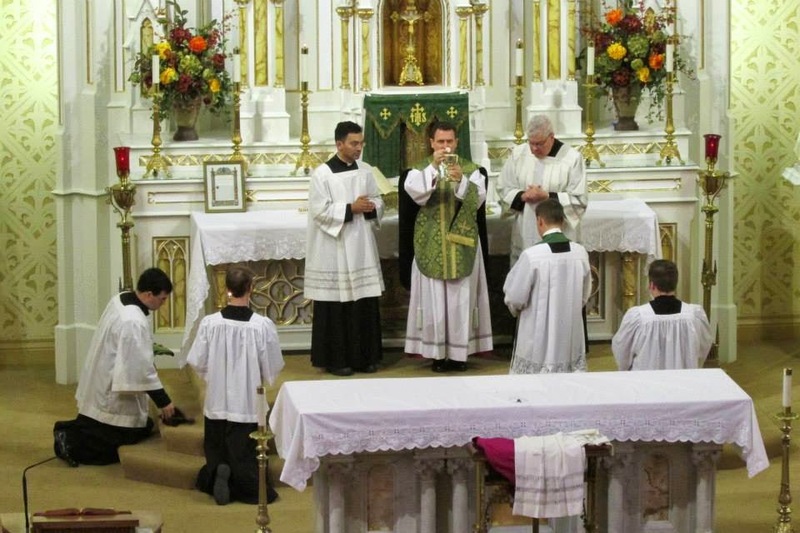 On the one hand, you have the low Mass, which by it's nature, was envisioned as a private, quiet Mass for the days when there were too many priests to easily celebrate a sung Mass with a schola cantorum, server corps, and congregation. It is, in a word, private. 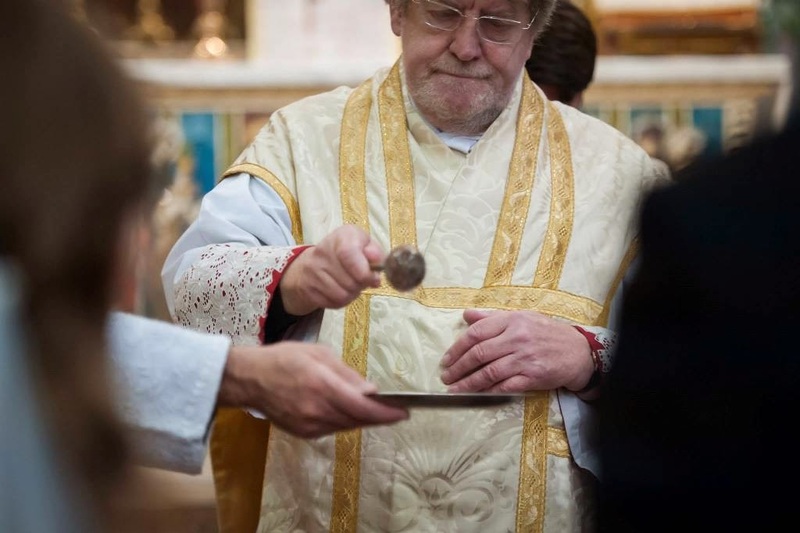 Then on the other hand, you have the fact that the Bishop is a successor to the apostles, and that the Roman Rite has always included extra ceremony for Masses with a bishop, due to their unique role in the church, in their diocese, and as a direct successor of the apostles standing in our midst. 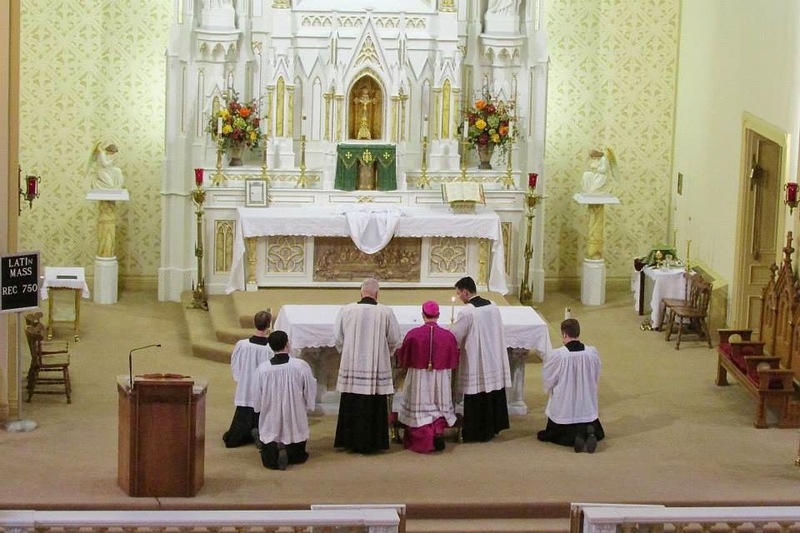 Out of this is born the Pontifical Low Mass. 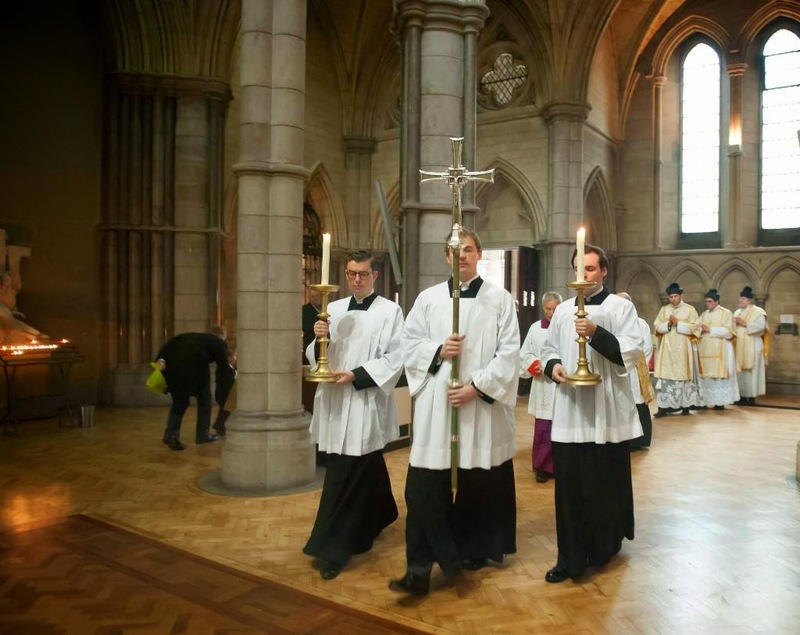 It is like the low Mass of a priest, but several traditional aspects of the pontifical solemn high Mass are also used, such as vesting in the sanctuary and entering in choir dress, as well as being directly assisted by two assistant priests and an MC. Likewise with the bugia (the small hand-candle). Yet most of the prayers are still said silently, and there is no singing from the sanctuary (though there is sometimes hymns and organ music). 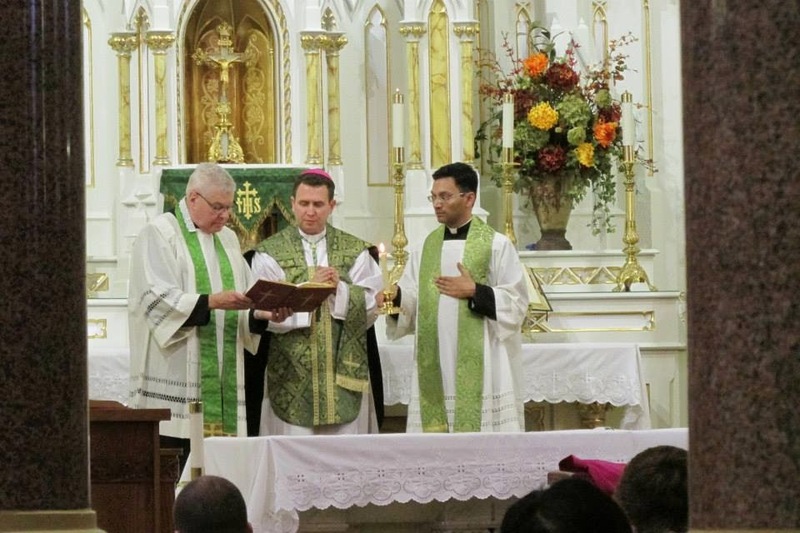 The celebrant of this Mass was Bishop Andrew Cozzens, Auxiliary Bishop of St. Paul and Minneapolis, and it was celebrated at Sacred Heart Church in Cincinnati. That’s the error in a nutshell: the liturgy is a means, not an end. I don't know who Rocco's "op" was, but I sure hope he isn't your bishop or pastor. The worst day that can dawn for any Catholic is a day on which the priest celebrating the Mass takes it into his head that what he's doing is just a means to some further end. 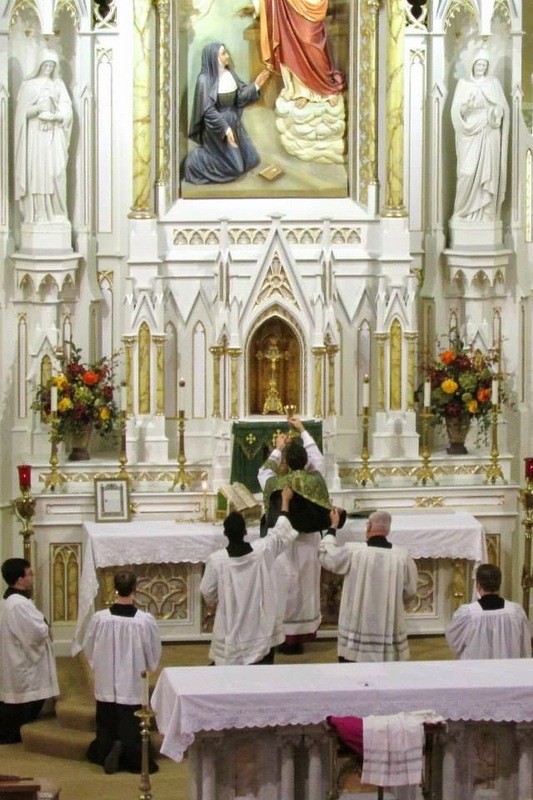 The liturgy, “through which the work of our redemption is accomplished” (Secret, Ninth Sunday after Pentecost), most of all in the divine sacrifice of the Eucharist, is the outstanding means whereby the faithful may express in their lives, and manifest to others, the mystery of Christ and the real nature of the true Church. … Christ indeed always associates the Church with Himself in this great work [of the liturgy] wherein God is perfectly glorified and men are sanctified. … From this it follows that every liturgical celebration, because it is an action of Christ the priest and of His Body which is the Church, is a sacred action surpassing all others; no other action of the Church can equal its efficacy by the same title and to the same degree. 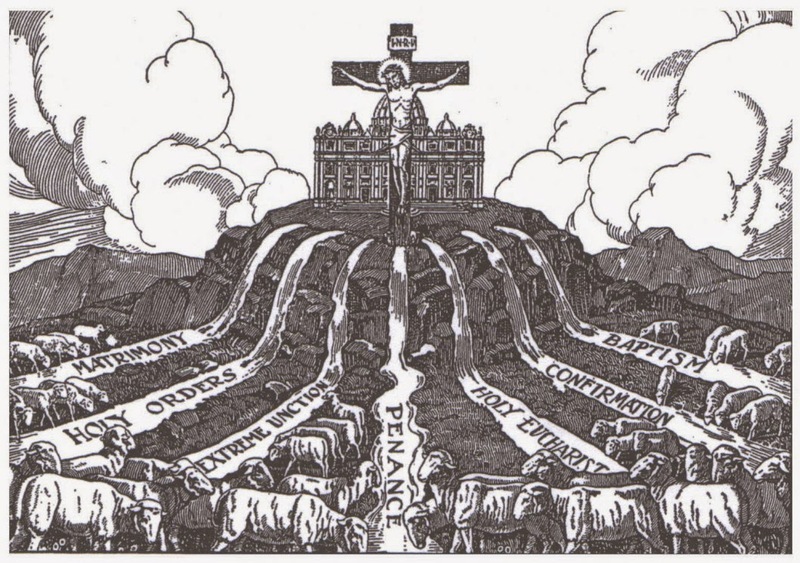 … [T]he liturgy is the summit toward which the activity of the Church is directed; at the same time it is the font from which all her power flows. For the aim and object of apostolic works is that all who are made sons of God by faith and baptism should come together to praise God in the midst of His Church, to take part in the sacrifice, and to eat the Lord’s supper. All the work of the Church stems from and is ordered to the celebration of the Sacred Liturgy. If we do not get this right, we will get nothing right; all of our work will be compromised, even poisoned. If, however, our house is in order, our worship solemn, reverent, beautiful, edifying, and nourishing, giving great glory to God who deserves all our adoration, praise, thanksgiving, and supplication, then the rest of the Church’s mission can flow freely and irrigate the world, like water rushing down a mountainside. Driven from their homes by violence and terrorist threats to ‘leave or die’, huge numbers have fled in panic with only the clothes they were wearing and a few possessions. Most do not have money for essentials. Helpless, these families are turning to the Church for comfort and support – relying on the charity and compassion of fellow Christians in this, their hour of need. Using trusted Church networks, Aid to the Church in Need is providing immediate food, shelter and medicine, as well as emotional and spiritual support – especially for young children, traumatised by their experiences. With your help, we will remain alongside these communities for as long as they need us. 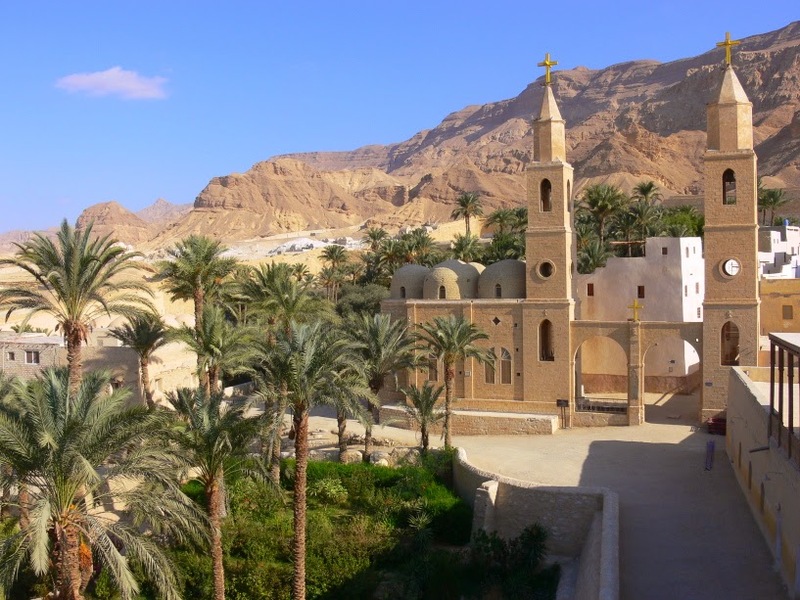 The long-term future of Christianity in the region is uncertain as terrorist groups, intent on extinguishing the flame of faith, are wiping out churches, monasteries and ancient texts. Indeed, with no priests left – for the first time in 1,600 years – Holy Mass will not be offered in Mosul this Christmas. On Monday Islamic militants destroyed one of Mosul's oldest churches as well as a convent. A wave of evil has been unleashed and rampages unchecked and largely ignored by the mainstream media. The service next week aims to bring the suffering Christians of Iraq into our minds and prayers, as well as drawing attention to the very real and practical need for funds. 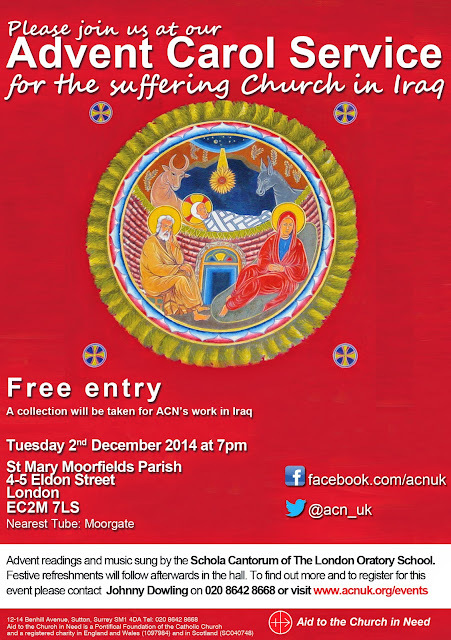 If you feel able to contribute, please visit ACN's website here. The liturgy begins with the Admonition and Scrutiny, based on Thomas Cranmer’s famous words from the Anglican Book of Common Prayer. The bride and groom having declared their freedom to marry, Mass begins with the Introit Deus Israel and the Kyrie, while the altar and celebrant are incensed. The Ordinary of the Mass was Mozart’s Spatzenmesse, with the propers sung in Latin from the Graduale. 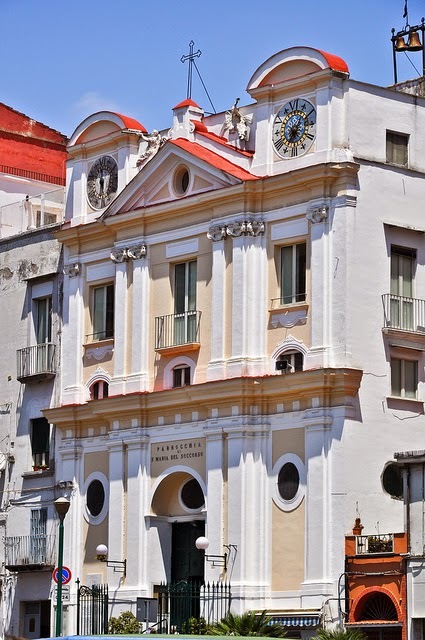 We have received word that His Eminence Crescenzio Cardinal Sepe, Archbishop of Naples, in accordance with the motu proprio Summorum Pontificum and a request from the Coetus fidelium «Sant’Andrea Avellino», has established the celebration of the Mass in the Extraordinary Form every Sunday and Holy Day of Obligation at 6:30 p.m., to take place at the church of the Royal Archconfraternity of Santa Maria del Soccorso (in the Vomero-Arenella neighborhood, piazzetta Giacinto Gigante 38), starting on December 7, the Second Sunday of Advent. The celebrant will be Don Antonio Luiso, assistant pastor of the church of S. Giovanni Battista dei Fiorentini al Vomero. The Coetus fidelium «Sant’Andrea Avellino» wish to express their gratitude to Cardinal Sepe for his paternal and pastoral solicitude in their regard, and also to the parish priest of S. Maria del Soccorso, and to the Archconfraternity for their generous hospitality. Here is an article taken from the Orthodox Arts Journal in a series of called An Icon of the Kingdom of God - the Integrated Expression of all the Liturgical Arts (h/t James Morgan). It is written by Andrew Gould the architect (and it seems garden designer). This is right in line with my own thoughts on the importance cultivating for beauty; that a proper ecology is one in which man, by God's grace, manages the environment by working harmoniously with it. As a result he builds it up to what it ought to be which, as a general rule, is greater and more beautiful than it is as untouched wilderness. 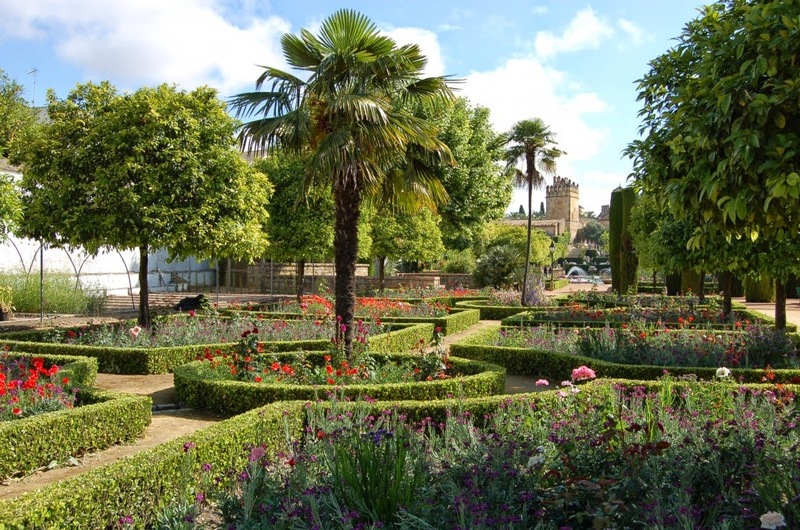 Accordingly gardening is in some way recreating Eden, or even the paradise of the redeemed world (which perhaps some might consider to be very similar but perhaps not exactly the same thing). On Friday, Nov. 21st, the English and Italian translation of the proceedings of the Sacra Liturgia 2013 conference, published by Ignatius, and edited by Dom Alcuin Reid, were presented at the Hotel Columbus in Rome by His Eminence Raymond Cardinal Burke, Bishop Dominique Rey (Fréjus-Toulon), and Dom Alcuin Reid. In attendance were Walter Cardinal Brandmueller, newly appointed prefect of the CDW Robert Cardinal Sarah, Abbot M. J. Zielinski, OSB Oliv., Mgr. Stefan Heid, Fr. Paul Gunter, OSB, Don Nicola Bux, H.E. 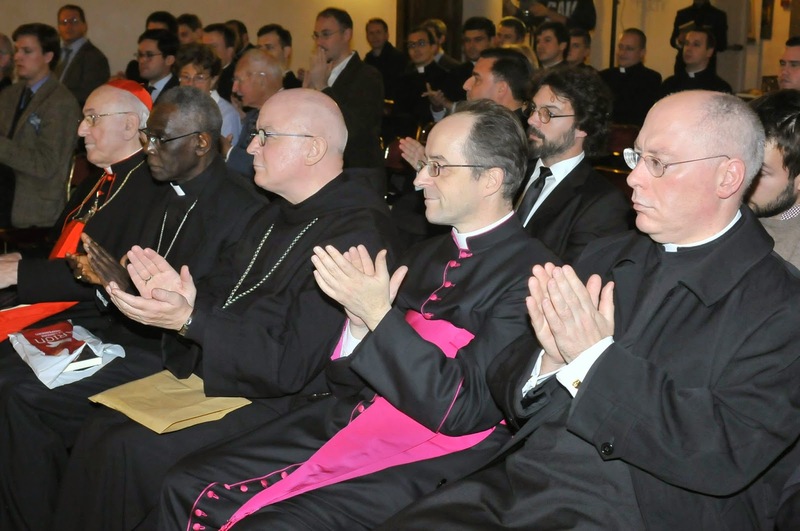 the Ambassador of Australia to the Holy See, other prelates, numerous journalists, clergy, seminarians, religious, and laity, including NLM's own Greg DiPippo. 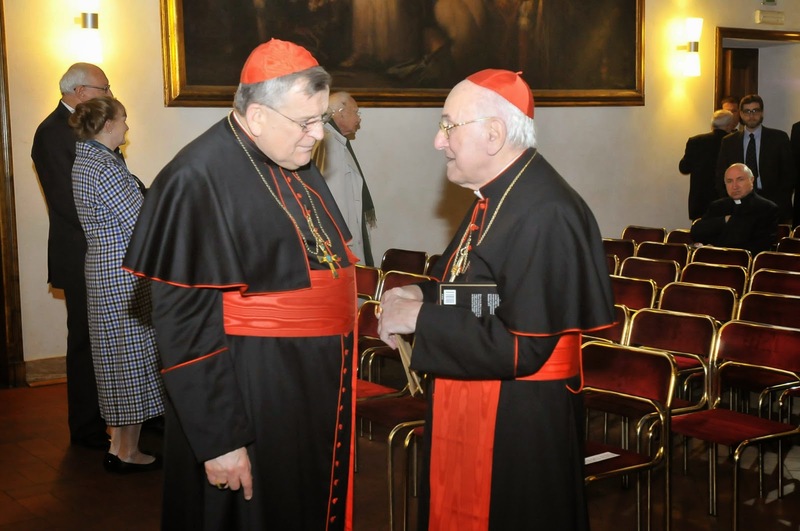 The remarks of Cardinal Burke, Bishop Rey, and Dom Alcuin Reid are available here. The Vatican Radio story below also contains audio of an interview with Cardinal Burke about the nature of the sacred liturgy, its importance in the Christian life, and working for the renewal of the sacred liturgy. (Vatican Radio) The reform of the Sacred Liturgy “is brought about not through rupture with the past, not through revolution, but through continuity with the past, through respect for the sublime beauty of the Sacred Liturgy celebrated uninterruptedly along the Christian centuries.” That was the message of Cardinal Raymond Burke, citing the teaching of Pope Benedict XVI, at the presentation of the proceedings of Sacra Liturgia 2013 – a major conference on the Sacred Liturgy that took place in Rome in June of last year. 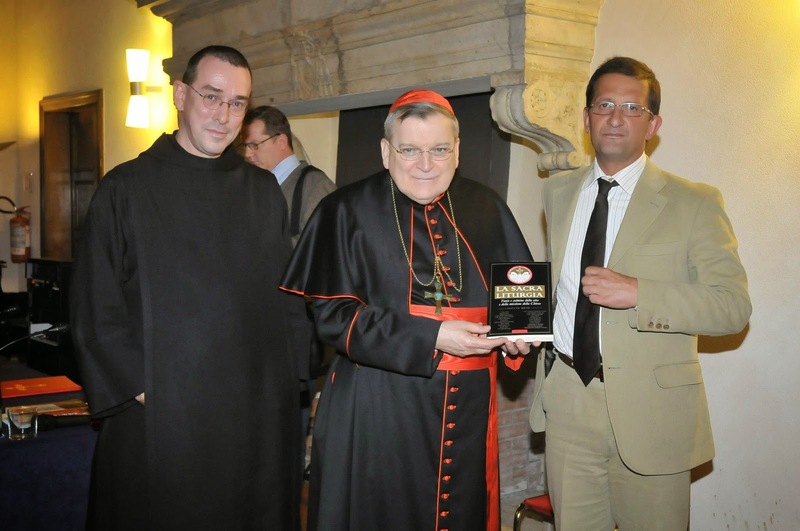 Following the presentation, Cardinal Burke spoke with Vatican Radio about reform of the Sacred Liturgy. 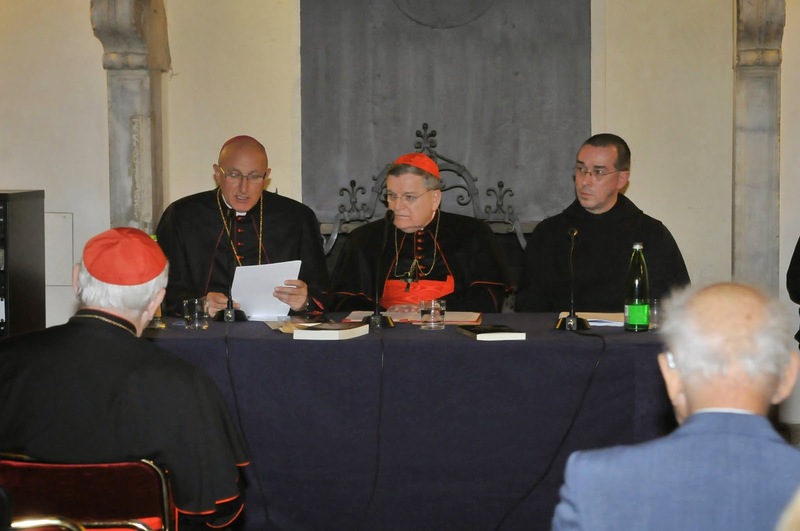 “What happened after [the Second Vatican] Council was the reform was hijacked by the so-called ‘Spirit’ of the Council, which was not related directly at all to the actual texts of the Council Father,” he said. “And now we’re returning to those texts, which promote reform in continuity with the tradition.” He spoke of the efforts of the Blessed Pope Paul VI, of Pope Saint John Paul II, and of Pope-emeritus Benedict XVI to foster the work of authentic liturgical reform, an effort that continues in the pontificate of Pope Francis. It seems that this series is, at least for now, very much an introduction to monastic authors. That is hardly surprising, given the centrality of the sacred liturgy in the life of a disciple of St. Benedict or any monk whose heritage is Benedictine. Today’s author, Dom Paul Delatte, O.S.B. 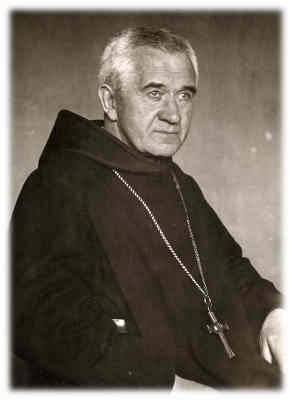 (1848-1937; abbot of Solesmes 1890-1921), will surely be known to many readers because of his famous Commentary on the Rule of St. Benedict, which many consider the best line-by-line spiritual commentary on that monastic masterpiece. Its pages are rife with profound insights into the properly and inherently liturgical Christian life that is ours in virtue of our baptism into the priesthood of Jesus Christ and how we can realize this lofty calling. The book resonates with all the great principles for which Dom Guéranger fought and to which the original traditionally-oriented members of the Liturgical Movement gave their energies in the early twentieth century. These are the very same principles we embrace today and wish to implement to the fullest. Thanks be to God that in the Church today there are still many monks striving to live, as did Dom Paul Delatte, according to the spirit and letter of the wise Rule of St. Benedict, which gives absolute primacy to the worship of God, the greatest and best. 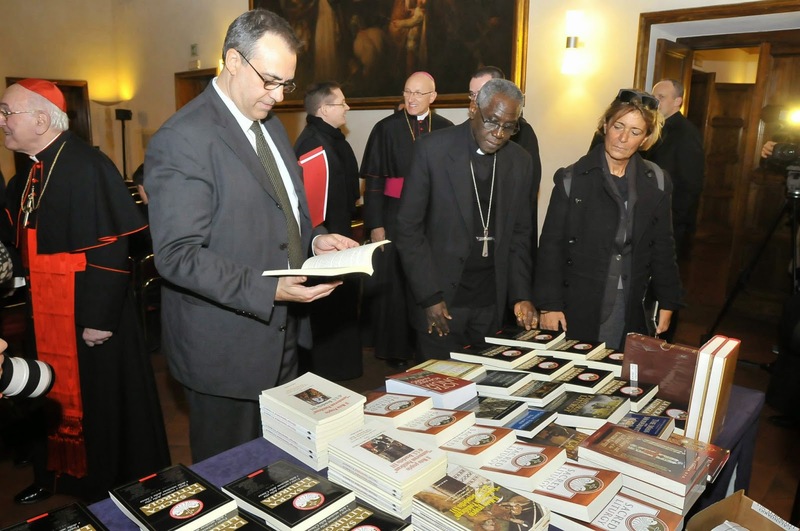 The website of Vatican Radio reports that His Eminence Robert Cardinal Sarah has been appointed by Pope Francis Prefect of the Congregation for Divine Worship and the Discipline of the Sacraments. 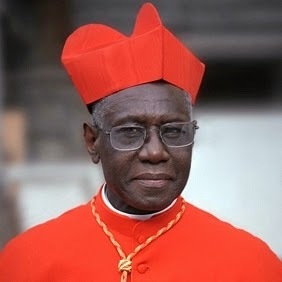 Cardinal Sarah was ordained a priest of the Archdiocese of Konakry in Guinea in 1969 (incidentally, on the very day of the Apollo 11 moon-landing, July 20th), and appointed as Archbishop of that See just over ten years later. In 2001, he was appointed Secretary of the Congregation for the Evangelization of Peoples; since 2010, he has served as the President of the Pontifical Council “Cor Unum.” He was made a Cardinal by Pope Benedict XVI at the consistory of November 20, 2010. Our prayers for His Eminence and best wishes to him on his new appointment. 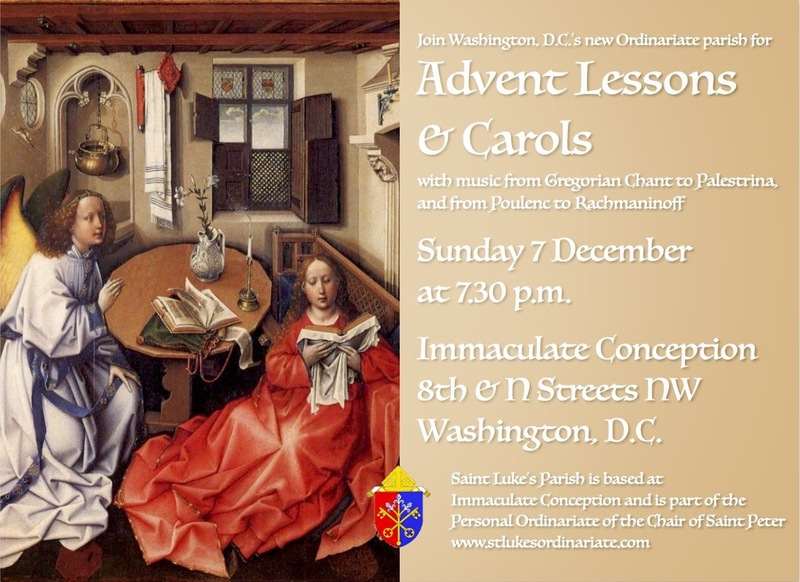 The beautiful church of the Immaculate Conception in downtown Washington, D.C., will be the venue for a traditional ceremony of readings and carols to mark the start of the season of Advent. The service, to be held on Sunday December 7 at 7:30 p.m., will be a candlelit celebration with readings from the Old and New Testament, interspersed with carols and anthems for the choir and congregation alike. 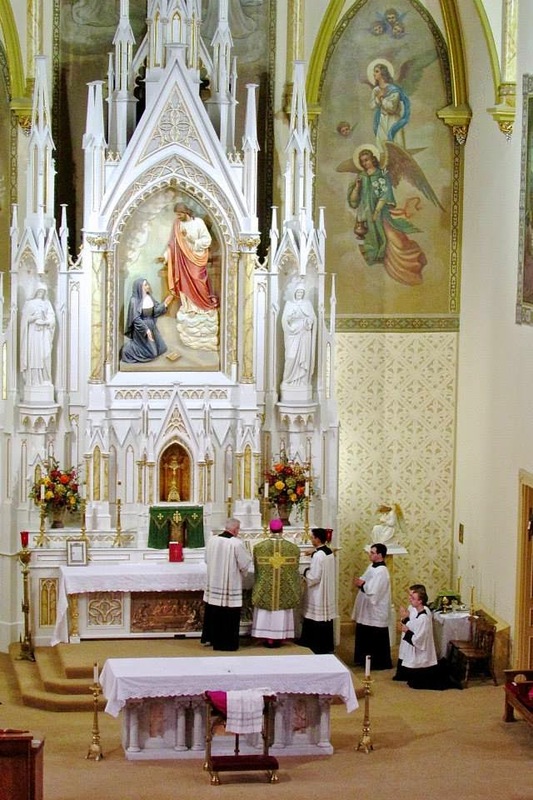 Immaculate Conception is the host parish of Saint Luke’s Ordinariate Community, a part of the Personal Ordinariate of the Chair of Saint Peter. 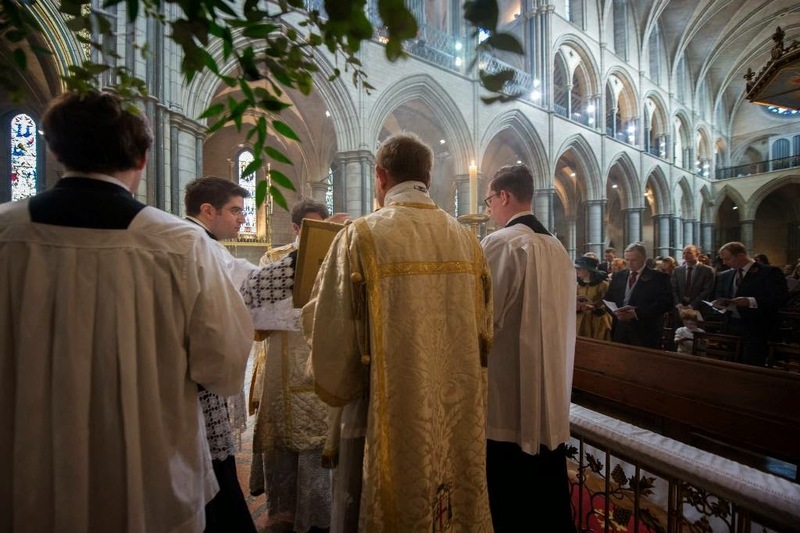 The ordinariate welcomes Anglicans and Episcopalians into the Catholic Church, allowing them to maintain their own liturgical, spiritual, and pastoral traditions. 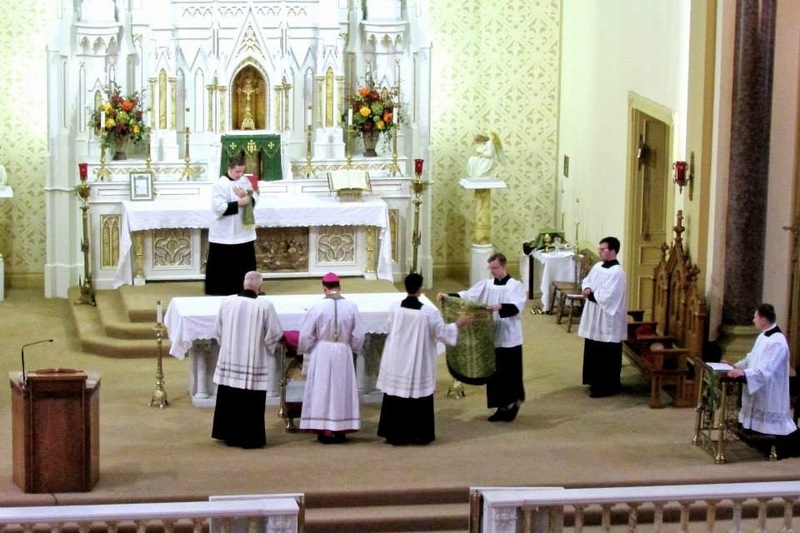 Since moving to a new home, Saint Luke’s has gained a reputation for excellent music at the service of the liturgy. A weekly Sung Mass at 8.30 a.m. is accompanied by music from both the Anglican and Catholic repertoires, together with Gregorian Chant sung by the new all-female Saint Benet Schola. The Advent service will include music by Palestrina, Rachmaninoff, and Poulenc, as well as well-loved hymns and carols of the season. 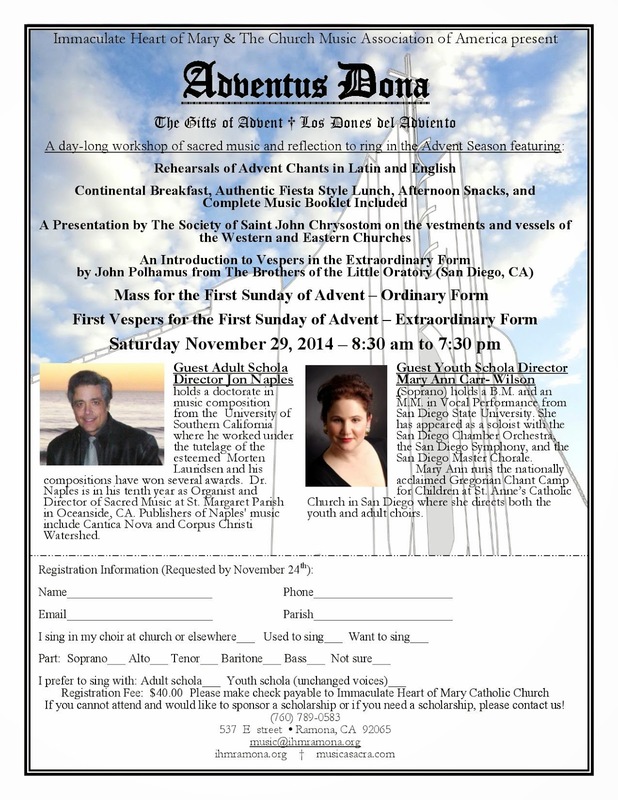 The church of the Immaculate Heart of Mary in Ramona, California, will be hosting an Advent Workshop and Retreat on November 29th to help bring in the season of Advent. It will feature two scholas, one for adults and one for children, a presentation on vessels and vestments of the Eastern and Western Churches, a introduction to Vespers in the Extraordinary Form, and capped off with a Mass in the Ordinary Form, and Vespers in the Extraordinary Form, celebrated with the Brothers of the Little Oratory in San Diego. Further information in the flier below. Today is one of the Twelve Great Feasts of the Byzantine liturgical year. 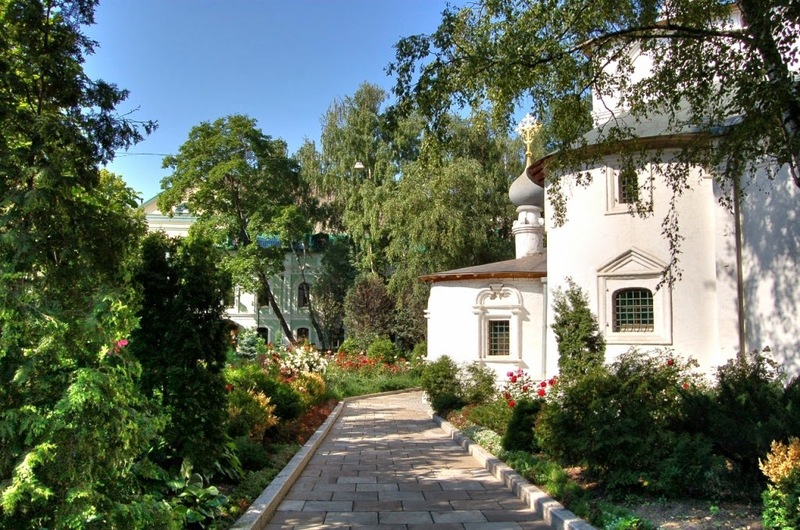 The feasts are divided between those that commemorate the work of Christ (Exaltation of the Cross, the Nativity, Theophany, the Meeting of Simeon in the Temple, Palm Sunday, the Annunciation, Pentecost and the Transfiguration) and those which commemorate the Theotokos’ role in salvation history (Nativity of the Theotokos, Entrance into the Temple, the Annunciation, and the Dormition). That the Theotokos is prominently featured in seven of the festal icons (in addition to the previous four also the Nativity, the Meeting of Simeon, and the Ascension), makes it a bit harder to distinguish which feasts are principally Christological and which are Marian, but the division is something like the one offered. A few years ago, NLM offered a nice account of the Vespers for the feast. Here, I only want to offer some very brief historical notes on the broad developments of its liturgical observance. According to Vladimir Lossky, it would not be until the fourteenth century when the feast was adopted in the West and celebrated by Pope Gregory XI in Avignon. In the East, however, its history goes back much earlier. Now, provided we do not digress too far from our subject, it is perhaps not inopportune to adduce Zacharias, who was slain between the temple and the altar, as a witness to the incorruption of the Mother of God. 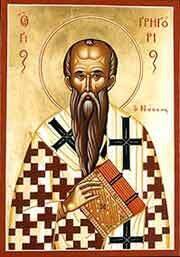 This Zacharias was a priest; and not only was he a priest, but he was also endowed with the gift of prophecy, his power of prophecy being declared expressly in the Book of the Gospel. When the Grace of God was preparing the way for men not to think that birth from a Virgin is incredible, it set the stage for the assent of unbelievers by means of lesser miracles: a child was born of a barren woman advanced in years. This was a prelude to the miracle of the Virgin Birth. For, just as Elizabeth became a mother not by the power of nature—for she had grown old in barrenness—but the birth of her child is ascribed to the Will of God; so also, the incredibility of a virginal parturition gains credibility with reference to the Divine. Since, therefore, he who was born of the barren woman preceded Him Who was born of the Virgin, and, in response to the salutation of her who was carrying the Lord, leaped in his mother’s womb before he saw the light of day, as soon as the Forerunner of the Word was born, the silence of Zacharias was thereupon loosed by prophetic inspiration. All that Zacharias recounted was a prophecy of the future. Therefore, guided to the knowledge of hidden things by the spirit of prophecy, and perceiving the mystery of virginity in the incorrupt birth, he did not exclude the unwedded Mother from that place in the Temple allotted by the Law to virgins, thereby teaching the Jews that the Creator of existing things and King of all creation has human nature subject to Himself, along with everything else, guiding it by His own Will as He sees fit, not being Himself mastered by it, so that it is in His power to create a new birth, which will not prevent her who has become a mother from remaining a virgin. For this reason, he did not exclude her, in the Temple, from the place of the virgins; this place was the space between the Temple and the altar. When the Jews heard that the King of creation, by Divine Economy, was about to undergo human birth, fearing lest they become subject to a king, they murdered the priest who bore witness to this birth as he was serving at the altar itself. Thus the immaculate Fruition issuing forth from the womb occurred from an infertile mother, and then the parents, in the first blossoming of Her growth brought Her to the temple and dedicated Her to God. 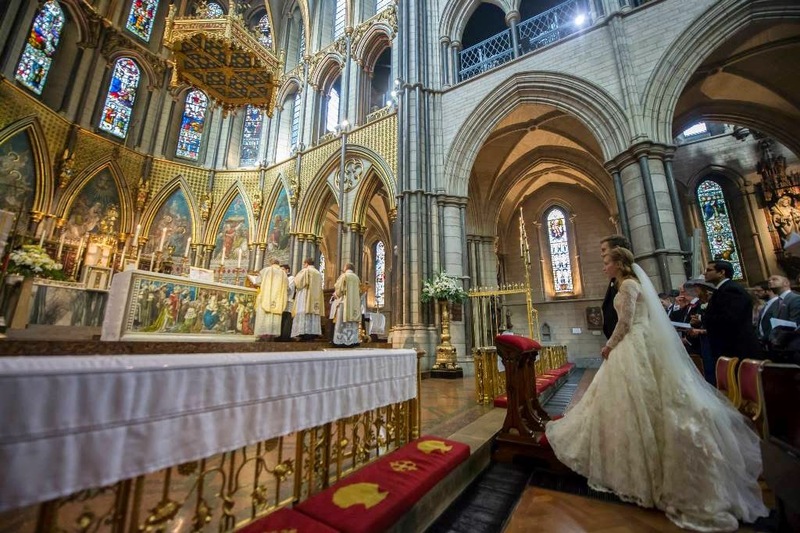 The priest, then making the order of services, beheld the face of the girl and of those in front of and behind, and he became gladdened and joyful, seeing as it were the actual fulfillment of the Divine promise. He consecrated Her to God, as a reverential gift and propitious sacrifice -- and, as a great treasury unto salvation, he led Her within the very innermost parts of the temple. Here the Maiden walked in the upright ways of the Lord, as in bridal chambers, partaking of heavenly food until the time of betrothal, which was preordained before all the ages by Him Who, by His inscrutable mercy, was born from Her, and by Him Who before all creation and time and expanse Divinely begat Him, and together with His consubstantial and co-reigning and co-worshipped Spirit -- this being One Godhead, having One Essence and Kingdom, inseparable and immutable and in which is nothing diverse, except the personal qualities. 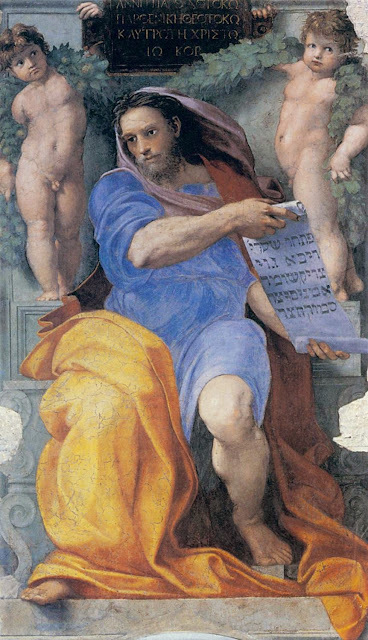 Wherefore, in solemnity and in song I do offer the Mother of the Word the festal gift; since that He born of Her hath taught me to believe in the Trinity: the Son and Word Without-Beginning hath made in Her His Incarnation; the Father begetting Him hath blessed this; the Holy Spirit hath signed and sanctified the womb which incomprehensibly hath conceived. Today the gate of the divine temple, opened wide, receives the eastward-facing and sealed gate of the Emmanuel, which is entering into it (cf. Ez. 44:1-3, read in Vespers for the feast). Today the holy table of the temple begins to be made splendid, having assumed the transfer to bloodless sacrifices by participation and the sweetest embrace of the heavenly and life-sustaining bread from a table of divine veneration. Today she alone is dedicated to the place of propitiation for the floods of errors that have overthrown mortals, being called a new, most godlike cleansing place of propitiation not made by hands. Today she is about to be welcomed by the sanctity of the Spirit into the holy of holies; she who was raised in a most marvelous way beyond even the glory of the cherubim, is stored up in a most holy way and gloriously in the holy of holies, for a greater sanctity, at an innocent impressionable age. Hail, the shining cloud that lets fall drops of spiritual divine dew on us, having today, at your inconspicuous entrance into the holy of holies, caused a radiant sun to shine on those held in the shadow of death! Divinely flowing spring from which the rivers of divine knowledge disperse the most discerning and brilliant water of right belief, as they destroy the band of heresies! Behold, then, how beautifully he foretells not only about the Entrance in the Temple, but also about her other spiritual goodness and beauty. The queen stood at your right. This statement foretells her Entrance in the Temple and her location to the right of the altar in the Holy of Holies, which is truly regarded as being to the right of God....And as she grew in age, the adornment of virtues increased greatly. And that is why the king desired her beauty, and he dwelt within her. While there are undoubtedly more steps in the development of the liturgical observance of today’s feast, what is striking is that while the origin of the story seems to be the second century apocryphal Gospel, the theology, details, and liturgical hymns are profoundly formed by a Patristic exegesis of the accepted canon of Scripture: from St. Gregory of Nyssa’s exegesis of Luke 11, to St. Andrew’s veiled references to the Epistle to the Hebrews, to St. Germanus’ use of the prophet Ezekiel, and lastly “St. Maximus’ ” exegesis of Psalm 44. This exegesis also culminates in the icon which is shown in the post below, and interpreted in the work of Lossky, cited above. For the Byzantine tradition, therefore, this feast is far from merely an apocryphal import, but rather, much more a mystery contained in the deep spiritual sense of God’s self-revelation. The Entrance of the Mother of God in the Temple, a mid-15th century icon from the Byzantine Museum in Athens. Ss Joachim and Anna, the Virgin’s parents, are followed by a crowd of virgins bearing torches, accompanying them to the temple. The Virgin Mary approaches the high priest with Her hands open, to symbolize that She is offering Herself to God; in the upper left, the archangel Gabriel brings Her bread, symbolizing that She is nourished by contemplation and a life dedicated to the service of God. 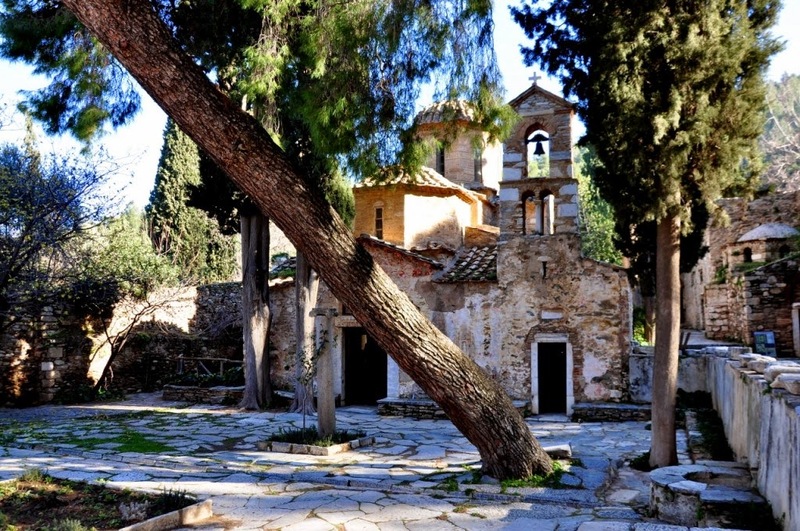 Λαμπαδηφόροι Παρθένοι, τὴν Ἀειπάρθενον φαιδρῶς ὁδοποιοῦσαι, προφητεύουσιν ὄντως ἐν πνεύματι τὸ μέλλον· ναὸς γὰρ Θεοῦ, ἡ Θεοτόκος ὑπάρχουσα, πρὸς τὸν Ναόν μετὰ δόξης παρθενικῆς νηπιόθεν ἐμβιβάζεται. Having recently received a review copy of this remarkable new book from its author, Lisa Bergman, I must say that I am dazzled and overwhelmed by what she and her friends at St. Augustine Academy Press have accomplished. It became clear to me that a complete and detailed review of such a packed book would take me so long that it might never see the light of day, and I would vastly prefer that Catholics know about this book and begin obtaining copies before the great feast of Christmas is upon us. * Considered attending a Latin Mass, but found it too intimidating? 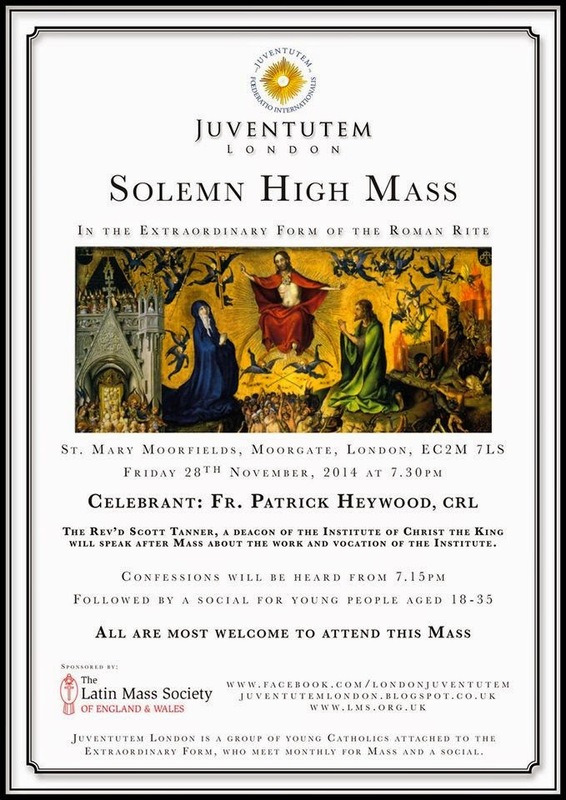 * Struggled to jump back and forth between the pages of a Latin-English Missal? * Wondered what all those people are doing at the altar during High Mass? * Wished for an effective way to help children to understand and follow along with the Mass? * Wanted to know more about the history of the Mass and how it came to be the way it is? * Been puzzled by things like Septuagesima, Rogation Days, and other unfamiliar terms, feasts and practices? * This Guide is just what you’ve been waiting for! 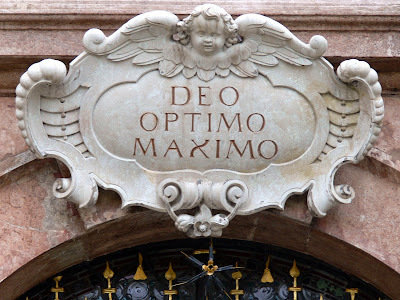 Whether you’ve been attending the Extraordinary Form of the Mass for years, or are merely curious about it, this guide is designed to open up the riches contained within the Mass to all. Inside, you will find a word-for-word English translation of the Latin text of the Mass, together with photos, diagrams, notes and explanations that will help you not only to follow along, but also to understand the history and significance of the ceremonies in which you are taking part. In addition, you will find sections explaining the main differences between the Ordinary and Extraordinary Forms, a discussion comparing the development of the Mass with that of its sister liturgy, the Divine Office, an exploration of the English translations of the Bible, a full glossary, and finally, recommended prayers intended to help you prepare when receiving the sacraments of Penance and the Holy Eucharist. The advance reading copy I received adds on the back cover: "The Ultimate Guide is designed to introduce its readers to the many layers of mystery which lend this liturgy its solemn beauty, while breaking down the barriers to understanding that can often be intimidating to newcomers." That is exactly what the book successfully does--in wonderfully clear and apt language, it explains the many layers of mystery, the connections to the Old Testament, the historical development of certain parts of the Mass, the applications to our spiritual life, always with a view to deepening one's participation in the sacred liturgy and receiving its fruits. While this book is manifestly ideal for children and young adults, it would function no less well as a text for a Catholic of any age who is getting to know the old Mass for the first time or who, being somewhat familiar with it, seeks more knowledge about it. It would serve well for parish catechesis or a discussion group. Homeschooling families could build a whole semester's introduction to the sacred liturgy upon and around this resource. There is a palpable spirit of faith and love in these pages that makes the reading of the book more than an academic exercise; it serves as a prayerful catechesis of the Mass from which I was able to think about many familiar things from a new angle or with a new appreciation. I decided, in the end, that the best thing I could do is give you a bunch of photos of the pages so that you can explore the format and the kind of rich content the book places at the reader's disposal. Two caveats: first, it seems from the St. Augustine Academy Press website that the book they are publishing is a hardcover. My review copy was a paperback. Second, the pages are more brightly white than in my photographs -- I didn't have the best lighting available. The lovely title page--no pains were spared to make this book beautiful! And now we come to the Mass itself. These sample pages display the deft interweaving of Jewish OT precedent and Church history into the explanations of the prayers and rituals of the Mass. Who knew that four popes were involved in the creation of the Prayers after Low Mass? This is the kind of detail I love to see. The side-bar even mentions the Syllabus of Errors. I was pleasantly surprised to find all the loving attention that Lisa Bergman gives to the Divine Office as a major part of the Church's liturgy. There are several pages on it, showing, among other things, how it resembles and differs from the Mass and how the Office complements the Mass. Homeschoolers and catechizers, take note: just when you thought Treasure and Tradition couldn't get any better, we find in it answers to the sort of questions Catholics often have and usually can't find concise answers to -- for example, how did the text of Scripture reach us in the various languages, including English translations up to the Douay-Rheims? What are the parts of a church and their functions? What are the minor orders? The glossary alone would be worth the purchase price. More sample pages may be viewed at this link, where one may also purchase the book for $22.50 (discounts available for multiple copies). Without exaggeration, I can say that this is one of the most stunningly beautiful and most informative introductions to the traditional Latin Mass that I have ever seen. For anyone who needs or wants a crash-course in the theology and spirituality of the classical Roman Rite, and a tour of just about everything connected with it, this is your book at last. If I could wave a magic wand, I'd have copies of Treasure and Tradition suddenly appear in every church, chapel, and Catholic family in the English-speaking world. The next best thing is to have all of you good readers obtain your own copies and start spreading the word among priests, teachers, catechists, families, and converts of your acquaintance. May God bless Lisa Bergman and the good people of St. Augustine Academy Press for their immense and fruitful labors!